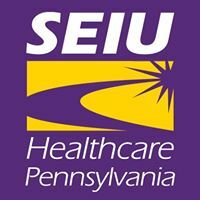 SEIU Healthcare Pennsylvania is looking for full-time organizers to join our hospital, nursing home, and home health care organizing teams. SEIU Healthcare Pennsylvania is the fastest growing, most dynamic organization uniting 45,000 hospital, nursing home and home health care workers from all areas of the health care industry. We are the nurses, caregivers, dietary workers, lab technicians and housekeepers who work in Pennsylvania’s nursing homes, hospitals, home health care, state health facilities and other health care services. Together, we advocate to protect patient care and expand access to quality health care for all. We fight to improve our working conditions and make sure that the healthcare industry creates more good, family sustaining jobs. We organize in our communities for racial equality and social justice. We lift each other up and create pathways for ordinary nurses and healthcare workers to become extraordinary leaders for change. We are part of SEIU, the largest union in the country and a leader of the Fight for $15. Together, we are taking on corporate power and helping to build a wider movement for economic, racial, immigrant, and environmental justice. Newly hired Organizers without previous union organizing experience begin with a two-month apprenticeship program. Competitive salary package and benefits including defined benefit pension (with contributions beginning after six months employment), option 401K type plan, and fully paid health insurance. Submit a cover letter and résumé to: sharmika.fargen@seiuhcpa.org.